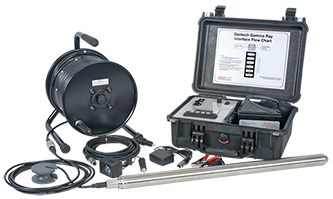 Geotech offers instruments and software for recording and analyzing measurements of the geophysical properties of wells and boreholes. 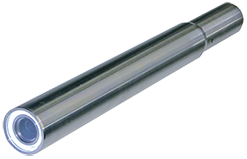 Grain-size analysis is used for studying soils, sediments, sands, or rock by determining size, distribution, and proportion of selected particles. The Geotech Sand Shaker is a manual sieve kit designed to provide reliable grain size analysis. It features 20 stainless steel screens ranging in size from US Sieve No. 4 to 270. 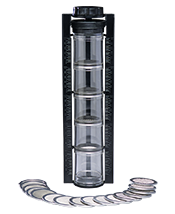 The sample is placed into the top of five clear acrylic cylinders, shaken to distribute particles, and volumetric percentages are indicated on the Shaker frame for quick and accurate gradation. 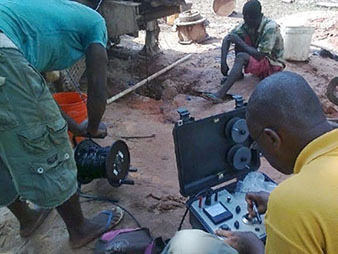 Downwell camera systems are portable video devices designed to inspect water wells and boreholes. 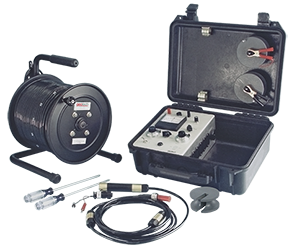 The Laval SC-350 and SC-500 borehole cameras are portable systems for water wells and boreholes from 2 inches (5 cm) to 10 inches (25 cm). Manage your site data with Enviro Data® data management software. Easy-to-use program uses the familiar Microsoft® Access® software for the user interface. Import data from your lab into a variety of reports. Create effective, attractive and informative GIS displays and graphics with Enviro Spāse display and analysis software. Use with Enviro Data® or any database.